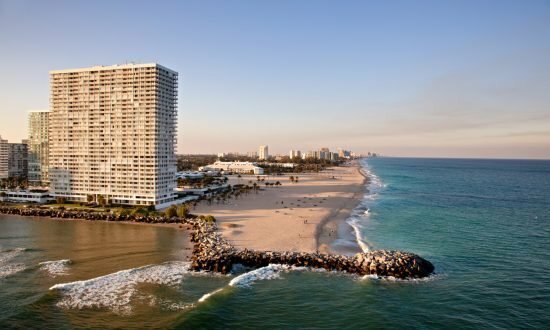 With its extensive system of canals, Fort Lauderdale is sometimes called the “Venice of America”. Fort Lauderdale is a sailing mecca, making it an ideal location for Dream Yacht Charter’s newest base on the East Coast. 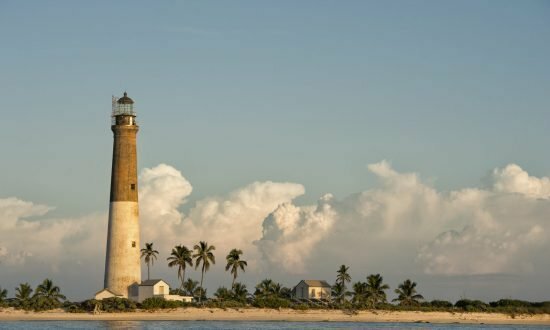 The exciting sights and sounds of South Beach are a day’s sail away, and the natural beauty of the Florida Keys and Key West are just a bit further. Dream Yacht Charter’s South Florida cruising area and destinations include Miami, Biscayne Bay, Key Largo, Islamorada, Marathon and Key West. You can even sail as far as Fort Jefferson in the Dry Tortugas. ATMs: Located throughout the sailing territory, easy to find. Winds: Usually between 15 to 20 knots from November to May, and 10 to 15 knots from June to October. Day 1: Provision in the morning. Board and depart by 2:00 PM. 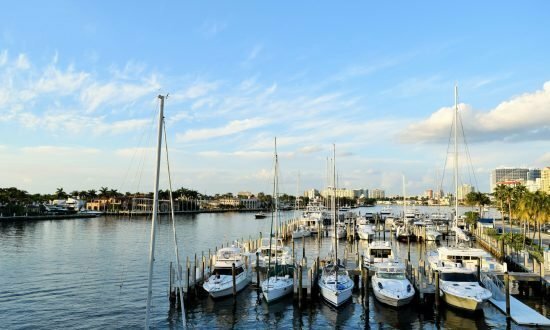 Sail to Miami and take your pick of spots to spend the night:Dinner Key Marina, Bay Side Marina, Miami Beach Marina, Crandon Park Marina, “No Name Harbor,” or Nixon’s Harbor. Day 2: Depart from the Miami area and sail south down Biscayne Bay. Anchor on the inside of Elliott Key, where you can swim, snorkel, or simply lounge on the beach. Spend the afternoon, then sail a little further south to spend the night behind Pumpkin Key. Day 3: Sail out through Angel Fish Creek into Hawks Channel, at high tide if possible. Entrance and exit can be tricky, but in between is plenty of draft. Sail to Craysfort Reef, and snorkel mid-morning to mid-afternoon. Depart the reef and sail back to “No Name Harbor” or Miami Beach Marina to spend the night. Day 4: Depart early in the morning and sail back to Harbor Towne Marina. Unload, clean up, and be on your way by Noon. Take one last look at the shimmering waters – you’ll be back before you know it. Day 3: Sail out through Angel Fish Creek into Hawks Channel, at high tide if possible. Entrance and exit can be tricky, but in between is plenty of draft. Sail to Craysfort Reef, and snorkel mid-morning to mid-afternoon. Sail north to Key Largo and pull into Marina Del Mar. Getting hungry?Have dinner at a local restaurant and stretch your legs, then spend the night in the marina. Day 5: Sail out to Sombrero Reef for an early morning snorkel, then sail northeast to Windley Key. Pull into Holiday Isle Marina, remembering not to dock at the transient dock, and get a full night’s sleep. Day 6: Another full day of sailing awaits you, this time on the outside up to Government Cut and into Miami. Sailing with the Gulf Stream will make for a fast, fun cruise. Choose an overnight spot in one of the many marinas and moorings. Day 7: Sail on the outside up to Port Everglades and back to Harbor Towne Marina. Spend the night on the boat, dreaming of your next Floridian adventure. Day 1: Depart from Marathon and sail to Bahia Honda, one of the best anchorages in the Florida Keys. Drop your hook near the Old Keys Trestle Railroad Bridge and enjoy the calm natural harbor at Bahia Honda State Park. Day 2: Depart Bahia Honda and sail out to Looe Key, a National Marine Sanctuary with magnificent snorkeling and diving. The reef there is from 1 to 80 feet with a great wall for SCUBA. Tie up to one of the mooring balls placed there for your convenience. After a few hours on the reef, head for Newfound Harbor. Here you may anchor out, or stay at the exclusive Little Palm Island Marina, which offers a 5-star restaurant and hotel accommodations. If such an expensive marina is not in your itinerary, Newfound Harbor is an excellent place to spend the night on the hook, and there’s a delicious restaurant you can dinghy into. Day 3: Depart Newfound Harbor and sail to Key West. Stay at Bight Marina, or anchor out in Man of War Harbor. Stretch your legs and experience the nightlife and shopping in the quaint village of Key West. Day 4: Depart Key West and sail to the uninhabited island group of the Marquesas. Bask in the solitude, calm waters, and sandy beaches. This is the perfect opportunity for some swimming and relaxation. Day 5: Depart the Marquesas and sail back to Key West. Stop along the way for some fantastic snorkeling by mooring to the dive buoys on the reef. Spend two nights in Key West to take in all that this destination has to offer. Day 7: Depart Key West and sail back to Bahia Honda for your last night out on the hook. Day 8: Depart Bahia Honda and sail back to Marathon. Arrive early enough to unload, clean the boat, and disembark by Noon. Remember, it’s not “goodbye,” it’s “see you later.” – you’ll never be done exploring all the Keys have to offer. 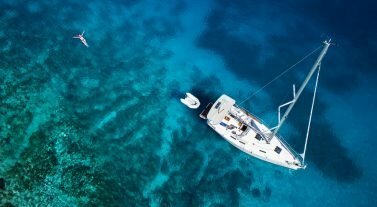 Lower Florida Keys/Dry Tortguas, Dream Yacht Charter can Pre-Position any vessel in our fleet (Depending on availability) anywhere in the Florida Keys for an additional fee. Please refer to our additional price list. We also offer one way itineraries and drop-offs in the Lower Keys, Upper Keys and Dry Tortugas 7-Day Itineraries are assuming pre-positioning and/or drop-offs. Day 1: Depart from Marathon in the evening and sail to the Dry Tortugas overnight. This is about a 12- to 16-hour cruise, and arriving in daylight hours will make your approach easier. Don’t worry – there’ll be plenty of rest and relaxation soon! Day 2: Arrive at the Dry Tortugas, the most isolated and least visited national park in the United States. 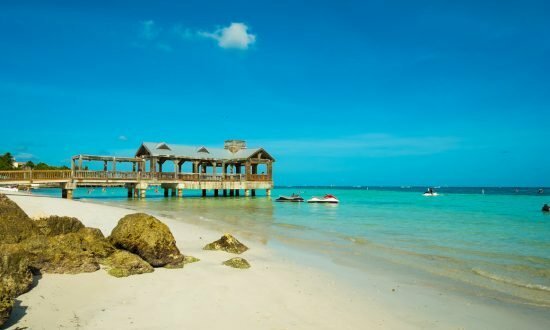 You should plan to spend two nights here, but if the weather deteriorates, cut your stay short and head back to Key West. There are no services on these remote islands – a tradeoff of their satisfying solitude. This leg of the voyage will be an exercise in self-sufficiency. Day 3: Go ashore on Garden Key and tour Fort Jefferson National Monument. This was originally built in the mid 1800’s as a military fort to be used by Union forces during the Civil War. The fort was converted to a prison, whose most famous inmate was Dr. Samuel Mudd, an alleged conspirator in the Lincoln assassination. Day 4: Snorkel the reefs surrounding the islands. Go ashore on Loggerhead Key or Hospital Key for a cookout – just be sure to leave as little footprint as possible. Bush Key, a protected bird sanctuary offers great bird watching from your yacht. Note that landing is prohibited so the birds aren’t disturbed. Day 5: Depart the Dry Tortugas early in the morning and sail to the uninhabited island group of the Marquesas. Be careful of Rebecca Shoal on the way, and be sure to arrive before dark. Enjoy the quiet and solitude that this island group offers. The calm waters and sandy beaches are perfect for swimming and relaxation. Day 6: Depart the Marquesas and sail to Key West. Stop along the way for some fantastic snorkeling by mooring to the dive buoys on the reef. Spend the night at Bight Marina, or anchor out in Man of War Harbor. Stretch your legs and experience the nightlife and shopping in the quaint village of Key West. Day 7: Depart from Key West and sail to Bahia Honda, one of the best anchorages in the Florida Keys. Drop your hook near the Old Keys Trestle Railroad Bridge and enjoy the calm natural harbor at Bahia Honda State Park. From Fort Lauderdale Int Airport take US1 South toward Dania Beach, Hollywood. Turn left on NE 2nd ST. At the end of the road turn left onto Gulfstream Road, then turn right into the Marina, NE 3rd St. (10 mins). From Miami Int Airport head north on 95 towards Fort Lauderdale. Take exit 22 for Stirling Road toward Dania Beach, turn left onto US1, turn right onto East Dania Beach Blvd, turn left onto Gulfstream Road, and turn right into Harbour Towne Marina (40mins). A valid passport is required for Charters to the Bahamas. Cruising fees and immigration fees are $300 per boat (3 people), $25 per extra person for the Bahamas only. Only soft bags, no rigid suitcases allowed on board.